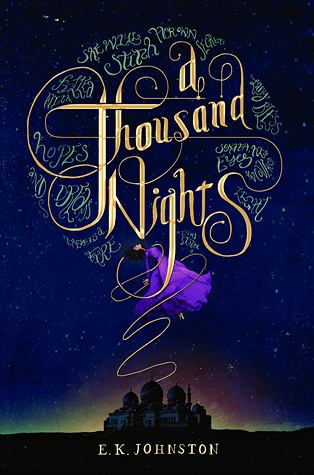 A thousand nights wasn’t like any other love story I’ve read before. As a retelling of Arabian Nights, it was a unique and intriguing read, and a mysterious atmosphere was prominent throughout the book. Firstly, I am going to start by saying the beginning and the end of the book were brilliant, I couldn’t turn the page fast enough! However the middle of the book was a slightly different story. The book lost me quite a few times, and I wasn’t very motivated to pick the book up and read it. So, a book that should have taken me no time at all to finish, took me quite a while to read. As I mentioned before, there was this mysterious atmosphere that E.K. Johnston did an awesome job of continuing through the book. However, I’m not quite sure that I liked it because I was quite confused while reading the book. “Small god” magic played a big part in the book and I didn’t quite understand it, but it did become clearer towards the end. I also loved how many strong female characters there were. Although men were the dominant in society, the women really knew their worth and how strong they were. The main character (whose name was not mentioned in the book, but from further research I found was Scheherazade) was willing to sacrifice herself from Lo Melkhiin to save her sister. And her sacrifices didn’t stop there. She did everything she could to save the people she loved from Lo Melkhiin, and even wanted to save Lo Melkhiin from himself. Which brings me on to my next character: Lo Melkhiin. He was the only character that actually had a name. Everyone else was referred to as “sister” or “mother of my heart” etc. Thinking about that now, I would have thought I’d be annoyed by that, but it added to the mysterious atmosphere and I enjoyed the originality of it. Lo Melkhiin was evil but there was something about him that made me like him. He kept the story interesting and I am still so intrigued by his character. Another thing I loved about the book was the setting. It was set in the desert and Johnston easily transported you there. It was a unique setting for me and I really enjoyed the experience. The setting complimented the magic in the book perfectly. Although I would have liked to see more chemistry between Lo Melkhiin and Scheherazade, and the ending was a little predictable, I did enjoy this book so I am giving it a rating of 3.75/5. Thank you for reading this everyone, and be sure to check out A Thousand Nights when it hits the shelves in October! Hello everyone! Sorry we haven’t been posting as frequently as we would have liked, but our summer has been unexpectedly busy! Anyways, we went to see paper towns with our cousin on Thursday so I thought I would review the movie for you guys! I read the book a couple of years ago and I really liked it. It was a chilled easy read and I remember loving the humour in the book, so when the film came out (and Cara Delevingne was casted as Margo) I knew I had to go see it! In a nutshell, I absolutely loved the film! The friendship between Q Ben and Radar was portrayed perfectly on screen and their humour was one of my favourite parts of the film. There were so many times I found myself laughing while watching the film, and it’s always good when a film makes you giggle. I thought the casting was spot on. I cannot think of anyone else who could have played Q better than Nat Wolff did. He was honestly the perfect Quentin. His awkwardness and quirkiness was perfect for the role. The actors who played Ben and Radar also did a freaking awesome job. They did their characters justice. As for Margo, I’m still not sure if I like the character, but Cara portrayed Margo very well. At first I didn’t see her as Margo but now I can’t see anyone else as Margo! She was so badass and glamorous at the same time and I loved it. Also, damn that girl can act! What I love most about the film, and the book, is the ending. It doesn’t end with Q and Margo falling in love and spending the rest of their lives together. They go their separate ways, and they drift apart like real life. The film sent out an awesome message that friends are so much more important than your love interest and sometimes people aren’t who you thought they were. Q falls in love with the idea of Margo and not Margo herself. He built up this idea that Margo was a goddess when in fact she was a human being. They didn’t fall in love in the end but that’s okay! I would definitely recommend watching the film, it did not disappoint me! Ayesha and I have both read the book whereas my cousin hadn’t read the book but we all enjoyed the film just as much! I was quite wary going to see the film because of all the bad ratings, but honestly it was so much better than I expected it to be and I ended up LOVING the film. It definitely did the book justice so I would recommend giving this one a watch! 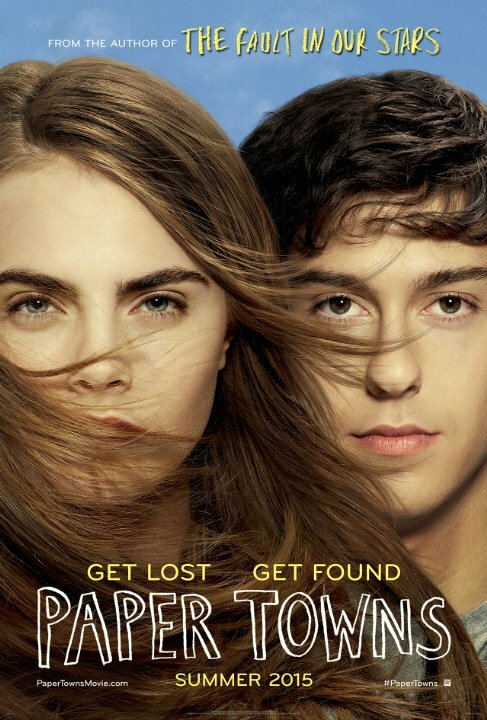 Thank you all for reading and if you’ve watched Paper Towns, let me know what you thought of it in the comments! I have seen this book all over BookTube and book blogs, and as it is a Cinderella retelling I had to try it out for myself! This is the fairy tale retelling that is as far from the real fairy tale as possible. For starters Cinder is a cyborg and its set in New Beijing far into the future. This is probably the most original retelling I have ever read! From the start of the book I was absolutely captivated by the world Marissa Meyer had created. I honestly can’t remember the last time I was this engrossed in a story in this way. From the setting to the characters everything left me wanting to explore the story. I loved how there were little hints of the original fairy tale embedded into storyline, it gave a sense of familiarity to the story and honestly just made me smile! 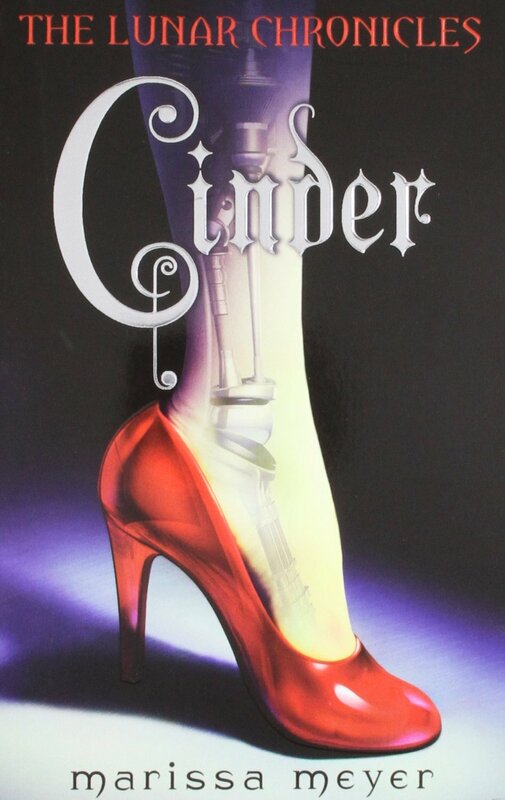 The main character, Cinder was very likeable and I loved reading from her point of view. Her character development was very strong, and towards the end I felt as though she was a very strong minded character. I especially loved the character of Cinders android and friend Iko, who brought such a cute and funny element to the book! The story had many twists and turns, and it was very well thought out. The story was nothing like I was expecting and so original, I think that is the reason why I loved it so much! However, I did guess the “plot twist” that we find out at the end of the book quite early on, so I am giving Cinder a rating of 4 (even though I would love to give it 5 aah). I can’t wait to carry on with The Lunar Chronicles series! Thank you for reading! Be sure to let me know your thoughts of Cinder in the comments, and I would love to hear what your favourite fairy-tale retellings are! 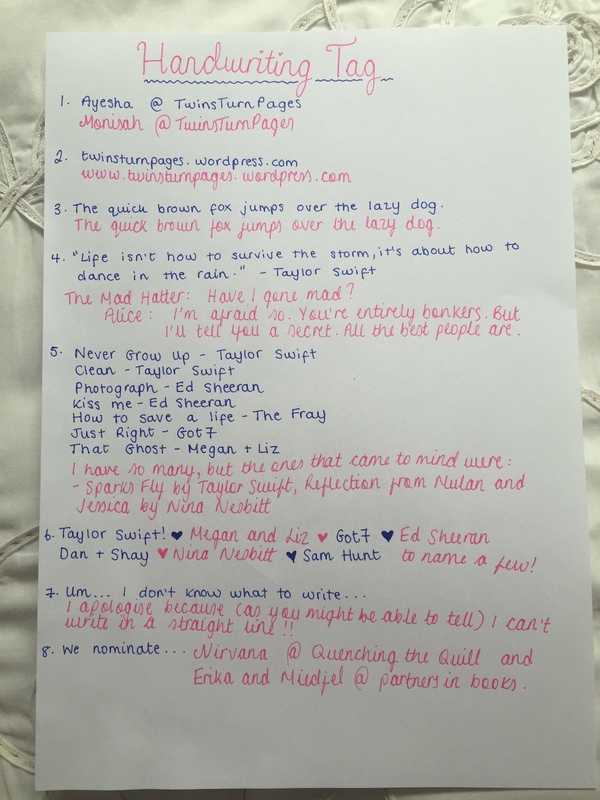 The wonderful Pip over at Pip Squeak tagged us to do the handwriting tag! Please take a look at her post because she has the most gorgeous handwriting! Thank you so much for tagging us!! We have very different handwriting and I (Ayesha) have always been quite envious of Monisah’s lovely swirly joined up writing (so I always get her to write birthday cards hahaha!!) I wrote in blue and Monisah wrote in pink! 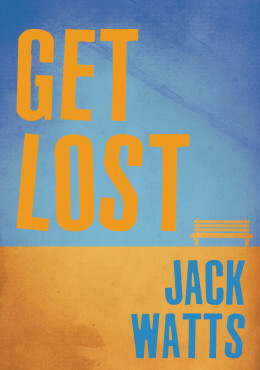 Review: Get Lost by Jack Watts! Hi everyone! I’ve got an exciting post for you today! One of our friends, Jack has written and self-published his own book! He gave us a digital copy and I’m going to review it! I hope you enjoy! Robert Brown is the best at what he does, finding missing persons. Having devoted almost the entirety of his working life to the police, Detective Sergeant Brown knows exactly where to look for people and normally has a good idea how they disappeared. All of this comes crumbling down as Robert is forced to question everything he knows. Following a dream about a mysterious hallway, and a string of disappearances Robert just can’t solve, he is forced to accept the impossible. A tale of love, mystery, and little regard for reality, Robert Brown’s story is told in this exciting novella, Get Lost. I went into reading “Get Lost” thinking it was a very intriguing plot line, having heard the initial ideas of the book first hand and I wanted to know how the story unravelled. For me, the story had a clear direction and the storyline was set up to always keep the reader wanting to read till the end. It was very well written and I especially loved the description! The story was written in 3rd person which was refreshing to read, as so many YA books are written in 1st person. I felt this gave me a greater perspective of the story, especially through the other characters. I had a little trouble relating to the main character, mainly because Robert was middle aged and dealt with things I haven’t even thought about such as marriage and divorce! At first I felt as though Robert was an unlikeable and very pessimistic main character and I found it hard to like him. It was unusual reading from such a negative point of view, but I soon got used to it and I actually grew to like Robert in the end and I wanted the story to move in his favour! Lisa was Roberts love interest and probably the most likeable character in the book. She brought a happier, ‘lighter’ feel to any scene she was in. I did feel as though this book lacked in strong female characters I’m so used to reading about in YA at the moment. As for the plot, I thought it was a little slow to start off with, but as the story progressed it became more and more fast-paced. The last 100 pages or so especially, were very gripping! The ending of the story didn’t really give me the closure I was expecting and I still has some unanswered questions about the dream and the people who had the dream. That being said I would say Get Lost is definitely a worthwhile read. As well as the main plot, the story covered other major themes. For example, there was a focus on mental health, especially in adult life, which I personally haven’t read much about (only ever teenagers and mental health!). The storyline also touched on important issues regarding ghost writing. Overall I really enjoyed reading Get Lost and I would definitely recommend this one! For more information about Get Lost check out the website here. For awesome movie reviews you can also check out Jacks blog which he co-hosts with Matthew and Kieron here. Thank you for reading everyone! I hope you have a good night!